For Lab or R&D use only. Not for food, drug, or cosmetic use. MSDS and COA are available by request. 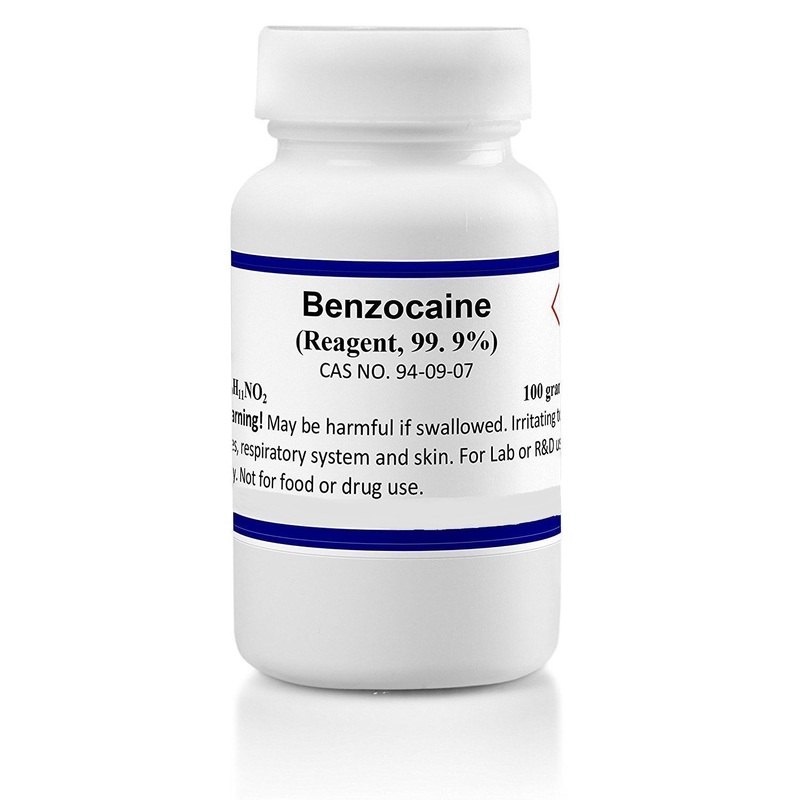 Benzocaine powder is the ethyl ester of p-aminobenzoic acid – compound use in various applications. Available package size: 10 grams, 25 grams, 50 grams, 100 grams and 1000 grams. Choose your quantity and click add to cart button. *Packaging may vary dependently on stock availability. We supply this product from 3 various manufacturers. It might look differently from pictured. We offer free 2 day shipping on all products. You can buy benzocaine powder with credit cards, paypal or bitcoins. This product can be returned only if the original seal is not broken. Returns are accepted within 15 days from purchase.